Join us as we talk about building and maintaining an effective author platform using social media. have done it and at the same time bring your real world questions and challenges to the table! We live (and have lived for a long time) in the age of the image. We can’t help talking and writing (and writing and writing …) about the images we see on screens big and small. How do we describe what we see without descending into dry summarizations that lose the magic of the visual? How do we describe films in a way that is as vibrant as the films themselves, sparking thought without lapsing into the banality of thumbs-up/thumbs-down verdicts? On a deeper level, how do we write about and use the culture of the image in our own nonfiction and fiction? Join us at 6:30 p.m. May 1 at the Paseo Verde Library’s Coffee Press Cafe for good conversation and great coffee! Moderated by Greg Blake Miller. WSN members free, guests $5. Come join us for another edition of PAINTED STORIES this October! The theme will be “Chills” so it’s going to be a little spooky, a little wintry and a lot of fun. Currently accepting submissions from interested authors and artists. CHECK BACK FOR THE AUTHOR AND ARTIST LINEUP! 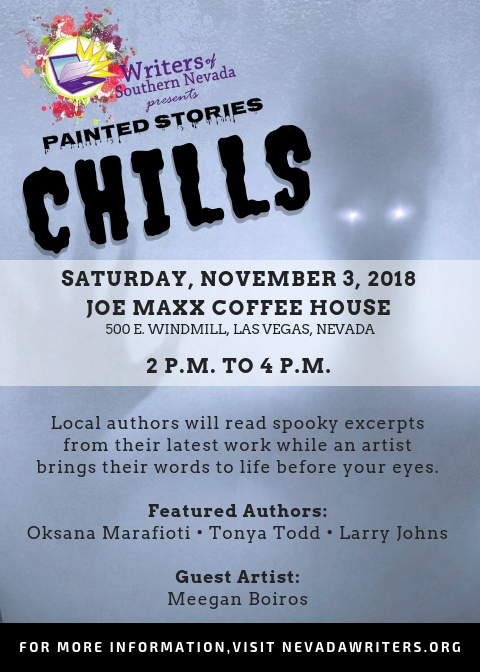 Come join us for our “Spooky Autumn” edition of our author/artist reading series PAINTED STORIES! In conjunction with the Las Vegas Writers Group, WSN will be holding its Holiday Member Mixer Tuesday December 8, 2015 from 7-9PM at Bahama Breeze (located in the center of town at Flamingo & Paradise). 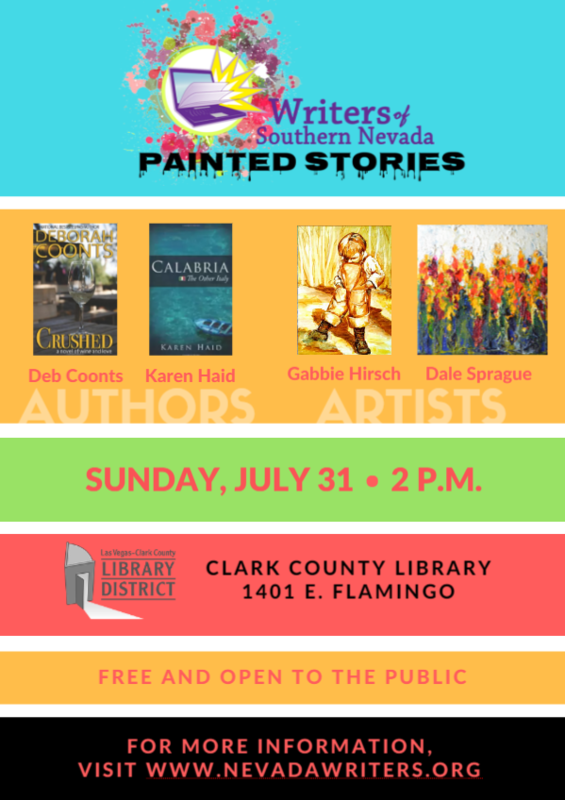 Free appetizers and plenty of good cheer so come on down and mingle with fellow writers in the local Las Vegas literary community. Ask questions, eaves drop, brag, boast and raise a toast to your 2015 writing accomplishments with other writers in a relaxed, informal atmosphere. Free for WSN Members. $10 for Guests. One free drink coupon for new members.